Talk about one of the best trackers out there and you have Coin.fyi out there at the top of its game. 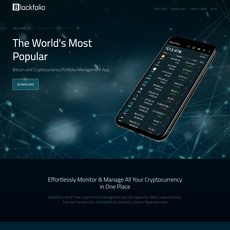 You can track your Altcoin, Bitcoin and even ICO successfully with this tool. 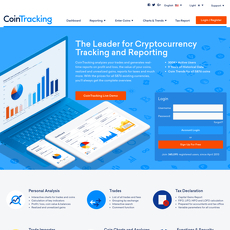 As long as you want to monitor how your coins are spent or used, then be ready to get reports on any one of them. Coin.fyi has qualities of being light-weighted, can be used anonymously and its free. All you have to do is click on Get Started and you are up. There is always a portfolio created on this tracker; as a guest, you can save your portfolio when you sign in. 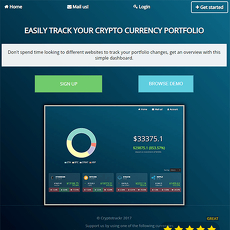 There are over 200,000 portfolios created on Coin.fyi and to create a portfolio of your own, add coins and start tracking the performance of your crypto portfolio as well as other related news. This is very simple and straightforward. The site uses a social media platform like Twitter to gain followers and disseminate information to the public. There are others sections on the site which include the Gainers and Recent news. 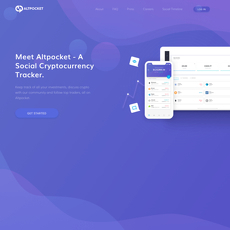 You can search for your particular type of coins and turn on post notifications without dropping your personal information. 1. 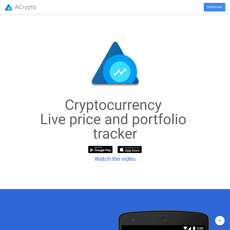 Portfolio: There are over 500,000 active monthly users with their respective portfolios. 2. Market cap: A general overview on how the market looks like with respect to each cryptocurrency and its value. 3. News: Trending news and updates are posted in this section of the site. 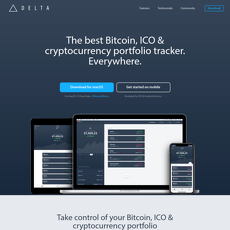 Tracks and analyzes your portfolio. Lightweight, anonymous use and free.